Individual Matters is pleased to bring the Experience Dyslexia® Workshop to Central Kentucky and beyond. You’ve undoubtedly heard the term “dyslexia.” You probably know it refers to a type of “reading disability” that makes decoding and understanding text difficult, results in poor spelling, and is often associated with left/right confusion. But you may be surprised to learn that you already know someone with dyslexia. In fact, you are probably surrounded by them! Research suggests that the disability is very common. As many as 15% of the population experiences some form of dyslexia, yet only 1 in 10 are ever diagnosed. But regardless how familiar you are with dyslexia, it can be hard to relate to the personal struggles of those who live with the disability. And when we don’t understand another person’s behaviors, we tend to make assumptions about the reasons for them. When dyslexia is undiagnosed, or its effects are not well understood, those with the disability may be labeled as lazy, oppositional, immature, or dumb. Their childhoods are often characterized by continual and frequent failures, as well as by nonstop criticism from teachers and parents, and teasing from classmates. Not surprisingly, the silent shame of this burden inhibits learning, destroys self-esteem, and can lead to depression and other mental health problems that continue well into adulthood. Even when students have been identified with dyslexia, it may be difficult for parents or teachers to empathize with their struggles. Fortunately, the International Dyslexia Association has created the Experience Dyslexia® Workshop. Now people without the disability can begin to understand what it’s like to have it. Empathy and understanding is vital for compassionate teaching and parenting. Understanding what dyslexia feels like helps us to avoid making assumptions, recognize learning problems for what they are, refer for appropriate treatment and interventions, and help children with dyslexia and other learning problems find success. With empathy, we can begin to scaffold individuals in overcoming the challenges of dyslexia – as well as capitalizing upon its many upsides. 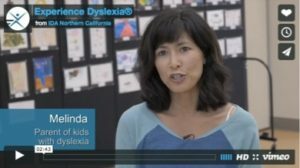 At Individual Matters, we are pleased to facilitate the Experience Dyslexia® Workshop – as well as others that focus on learning, teaching, and parenting. These experiences are available throughout Central Kentucky and beyond. They are appropriate for teachers, parents, or anyone else who works with dyslexic individuals and/or wants to understand impacts of living with the disability. To learn more, or to schedule a workshop with Individual Matters, email us or call (859) 260-1914.